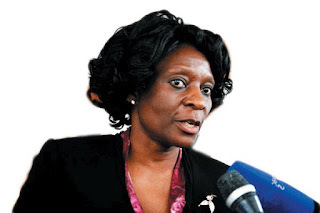 MASVINGO - Zanu PF and MDC-T were caught off guard when Biometric Voter Registration (BVR) opened and put one of the new high density suburbs Victoria Ranch, which both parties had presumed to be the extension of Ward 3 in Masvingo Urban, to Masvingo West constituency as a new Ward 7B. Victoria Ranch is yet to be incorporated into Masvingo town and will remain under Masvingo Rural District Council until the delimitation exercise is done in 2022. Many people staying in Victoria Ranch were formerly residents of Ward 3 and that is where they voted in the 2013 election. When some residents from there went to register as voters, they were told they now fall under a new ward in Masvingo West. This prompted the MDC-T Ward 3 executive to organise a meeting to tell their people in Victoria Ranch to register using their previous addresses in Ward 3. "Those in Victoria Ranch are our people and we need them to vote in Masvingo Urban not Masvingo West as is being said. "They should register using their previous addresses. You find that some Ward 3 executive members are now residing in Victoria Ranch," said one member at the MDC-T Ward 3 meeting. On its side, Zanu PF held elections to choose leadership for the new ward thereby causing a friction with the opposition party which is mobilising the residents to register under Ward 3. "That is fraud at its best. Zec (Zimbabwe Electoral Commision) should take action because people are giving false information. Those in Victoria Ranch should register under Victoria Ranch which is now Ward 7B in Masvingo West constituency.